According to reports, a dog was arrested for robbing people.The owners normally corned victims then they would ask the dog to attack them. In fear, the victims would immediately surrender their belongings to the robbers.Luck ran out on them when they attacked a woman in Ladipo, Lagos State. The woman refused to play ball. She instead screamed for help. 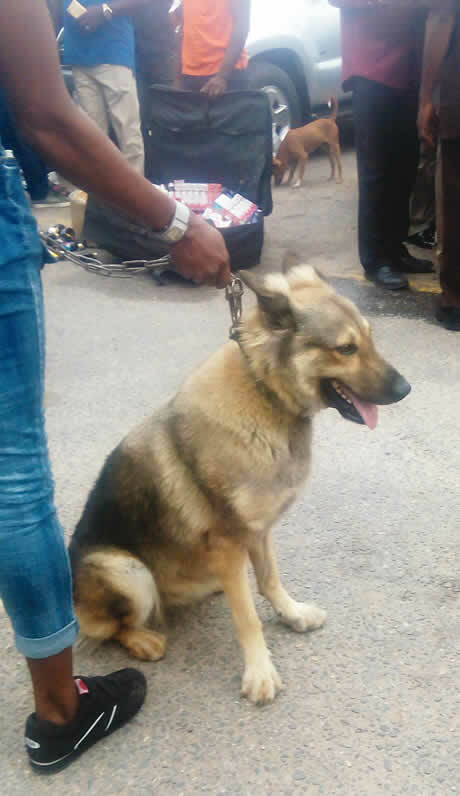 Her scream is said to have alerted policemen nearby who arrested the men and their dog.